Cornwall is one of the most scenic parts of the UK, making it the perfect backdrop for a romantic holiday. With plenty of gourmet restaurants to dine at and fantastic accommodation such as our hot tub cottages, Cornwall should be the first thought when thinking of a holiday with your loved one. If you want to make your getaway extra special, why not check out some of these romantic locations found around Cornwall’s coast and countryside? We have been to several over the years, and each visit is truly magical! We hope you find that same sense of wonder when you visit! Godrevy Head near Hayle and St Ives on Cornwall’s northern coast is a secluded spot, with rocks on one side and a great surfing spot on the other. 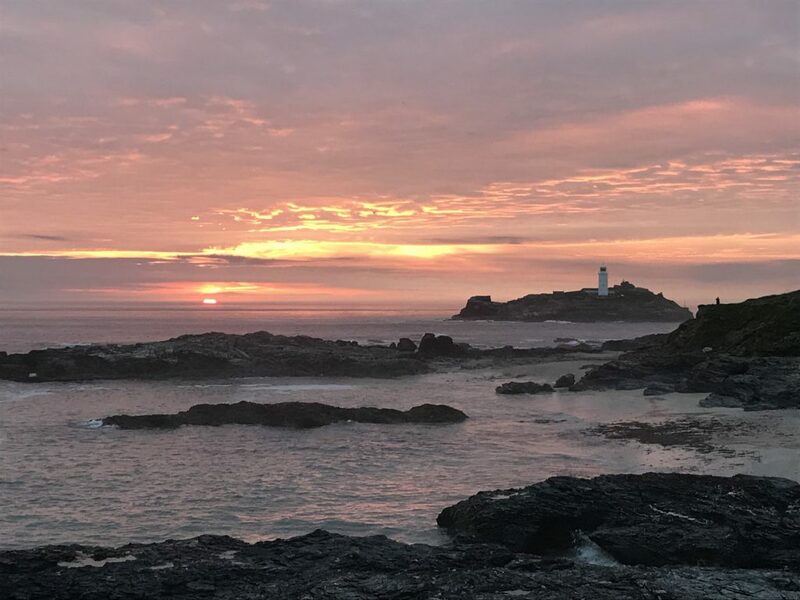 You can follow the coastline as it winds along the cliff tops, offering breathtaking views of the area and towards Godrevy lighthouse. You might also see seals basking on the beaches, depending on the time of year, and you can enjoy a variety of colourful wildflowers throughout the year. Located halfway between Marazion and Porthleven on the south coast of Cornwall, Kenneggy Sands is a sandy and pebbly beach with crystal-clear waters. The gorgeous beach is the perfect place for a couples’ picnic, a peaceful walk, or even just a place for taking a quiet moment for two. Be aware that it is relatively remote, and access is only available by walking and ladders. The beach is also flat, so the tide comes in quickly. Porthgwarra Cove in west Cornwall was the location for many romantic scenes in BBC’s Poldark series. If you are a fan of the show, why not follow in the footsteps of Ross Poldark and Demelza with a walk along the beach or the cliff tops, recreating stunning scenes from the show in a beautiful location? Even if you are not associated with the romantic drama show, the beauty of Porthgwarra Cove is sure to make you fall in love with your partner all over again – and Cornwall! 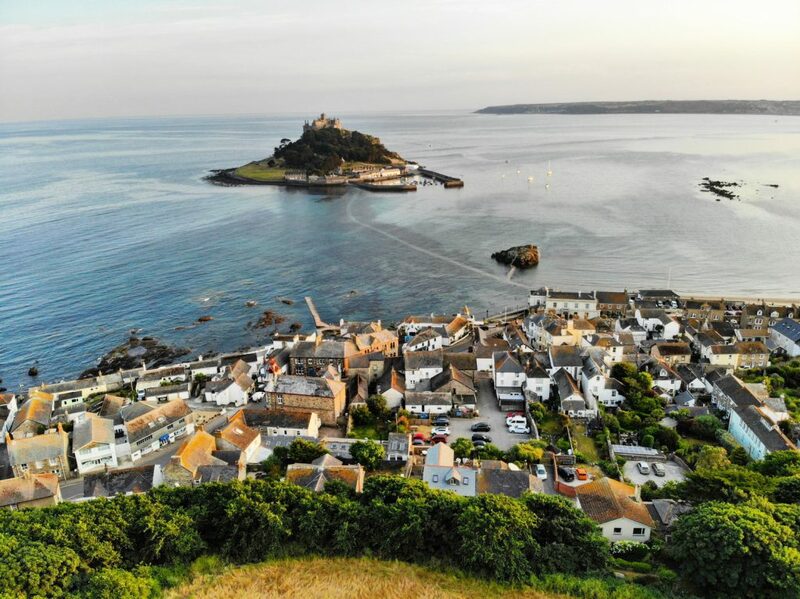 On Cornwall’s south coast is the iconic landmark of St Michael’s Mount, and you can explore the beautiful subtropical gardens, wander the harbour and visit the castle and church. At low tide, you can walk along the causeway to the island or take the boat at high tide. While St Michael’s Mount is a popular tourist spot, it is something special for couples due to a particular stone. By the side of the church, the highest point of the Mount’s bedrock can be seen, and it is said while touching the stone and making a romantic wish, the wish will be granted! The Hurlers Stone Circles near Liskeard are some of the best-preserved stone circles in the South West. When walking around this intriguing landmark, you will feel like you are stepping back in time, and a long way too, as it is thought the stones date back to 1500 BC! There is a sense of mystery and romance around the Hurlers, as, like many stone circles, we can’t be exactly sure what their purpose was. It is something a little different if you are a couple wanting to see an alternative side of Cornwall. Why not see loads of romantic scenery in one afternoon with a mini road trip on Cornwall’s coastal roads? Take a journey from St Ives to Land’s End, following the quiet winding roads which boast some of the county’s best views. There are several stopping points where you can admire the moors, cliffs and sandy beaches in full. A road trip is an excellent romantic activity, and in the fantastic setting of Cornwall, you are sure to make lots of memories! 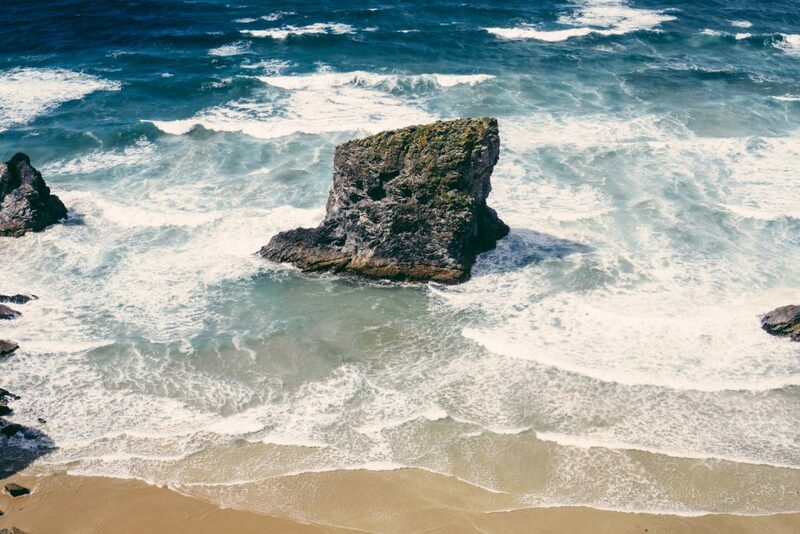 Bedruthan Steps is one of Cornwall’s most famous beaches, due to the gigantic granite rocks dotted along the beach, which according to legend were used as stepping stones for the giant Bedruthan. Though access to the beach is difficult, it is worth it when you reach the golden sands accessible at low tide. Bedruthan is also one of the best places to watch the sunset on Cornwall’s north coast, as the sun gives the dark cliffs a golden hue. Near the castle of Tintagel is St Nectan’s Glen, which looks like a scene straight out of a fairytale! The trees covered in ivy, a sparkling river and the gorgeous waterfall tumbling through the round hole in the rock face make the site stand out. Considered to be one of the most spiritual places in the UK, you may want to keep an eye out for fairies and spirits! Please note there is an admission charge to visit the waterfall, but the area surrounding it is free and just as beautiful. Do you have a favourite romantic spot in Cornwall? We’d love to hear about what makes it unique to you! 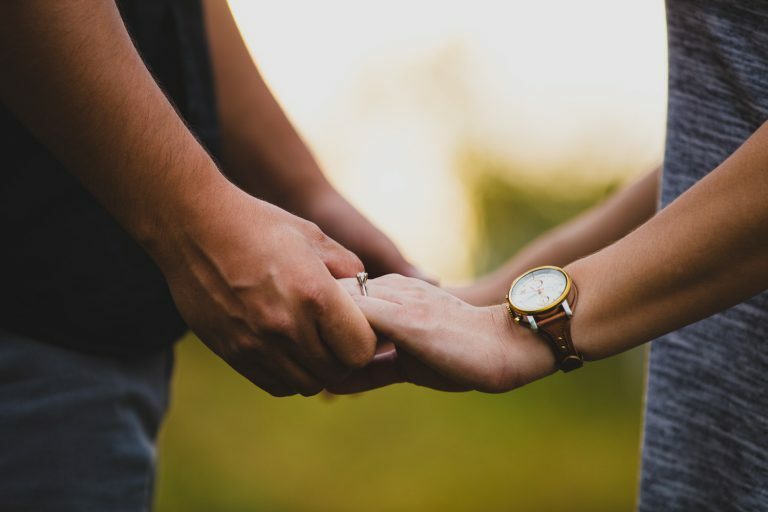 If you are planning a romantic break to the South West, why not read our blog on spending Valentine’s Day in Cornwall? We have loads of other posts on our blog which can help inspire your time here too.